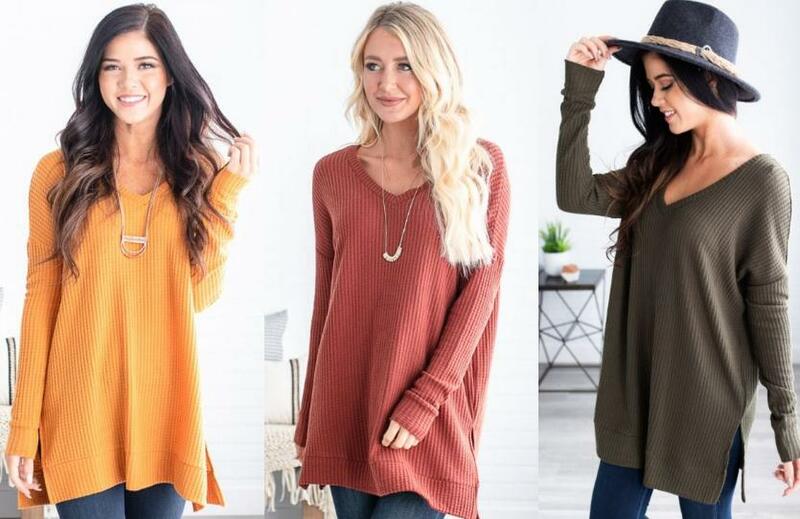 Brynlee V-Neck Waffle Sweater – Only $18.99! This sweater is so cute! Head over to GroopDealz where you can get this Brynlee V-Neck Waffle Sweater for only $18.99! (Reg. $39.99) Sizes range from small to 3XL with seven amazing colors to choose from! Layer with your favorite scarf and pair up with some comfy leggings and boots! *Shipping adds $3.49 for the first item and $1.99 for each additional.